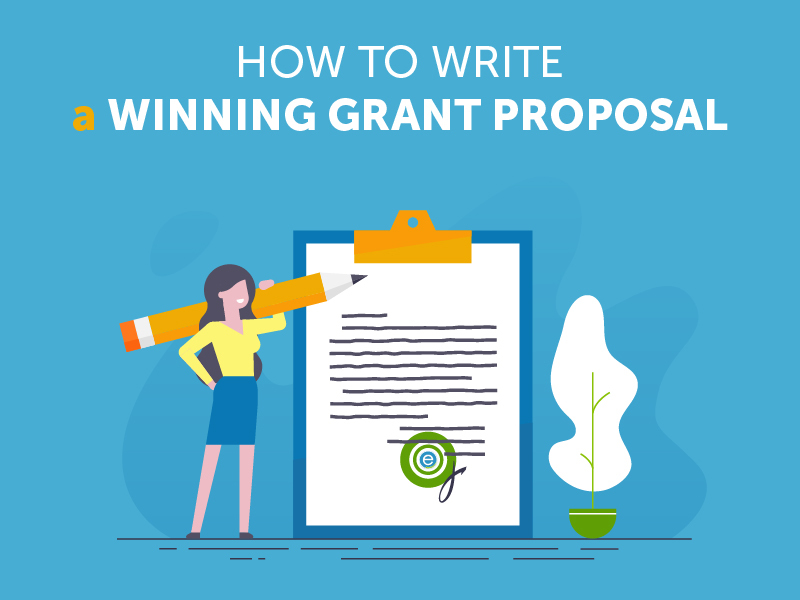 If you consider writing grant proposals to be your worst nightmare, do not let your fear keep you from the stupendous number of top grant opportunities. If a sample grant proposal has not come to your aid, devote some time to learning the structure of such a paper. Without any doubts, writing a grant proposal is not only a daunting but also a lengthy process. In both starting and operating your non-profit business, you will spend the most amount time on it. Nonetheless, the vast majority of people, who set up a non-profit organization, have never learned to compile such type of writing. It is their dreadful mistake since they will need to secure grant funding in the process of operation. The absence of funds is tantamount to death for such non-profits. What you need to imprint on your memory is that there are hundreds of organizations, which apply for the same single grant, and each of them is worthy of getting it. Indeed, how to succeed in such an unequivocally challenging task? What you say and how you present it – these two things matter. It goes without saying that your writing should be well-written. Despite how vital your idea might be, if you fail to follow the logic of presenting the material, no grantor will read it till the end. It means that you should devise a coherent structure and follow it step by step. In addition, grants are of two different natures, namely, informative and compelling. Being logically organized is barely enough, so make sure that your writing tells an engaging story. Grammatical mistakes and typos are hardly the things a grantor would like to encounter while reading a grant proposal. From each situation there are two ways out, and this one is not an exception. You may either ask someone else to edit the writing, for instance, a professional editor, or hire a seasoned grant writer, who will compile a completely unique piece. If you are eager to get to know more about the process of writing a grant proposal or some crucial grant writing techniques that can come in handy, read further. There is one more pivotal thing you need to consider while writing: every single section of your masterpiece has to be appealing and informative. Letter of Inquiry, or Cover Letter. The purpose of a letter of inquiry is to present your company. Moreover, simple stating its title and general scope will never suffice. What you are supposed to cover are the mission and goals of your organization. Besides, you are encouraged to specify financial conditions, namely, the exact amount of money you would like to receive as funds. In no way it should be the reiteration of your proposal. Focus on the requirements of the grant and on how your company meets them. Important: do not write a cover letter in case you are applying for a state or federal grant. It can be written only when it is clearly specified in the requirements. Executive Summary. This part plays the role of the introduction and thesis statement for a grant proposal as its conciseness and comprehensiveness should capture the undivided attention of the reader right after first three sentences. The executive summary is the section where you have to present to the reader an overview of what you would like to receive and why. Bear in mind to cover the expected outcomes and their value. Statement of Need. Organized in a reader-friendly manner, your statement of need explains why this project is crucial and why only your organization is able to find the solution to the existing problem. For this, you may introduce some historical background or research conducted. Implement quantitative data: some statistics, figures, trends, and expert points of view to make your project sound solid. Support your standpoint with the help of reputable research sources or comparative information. Underline the value of the funds particularly for you (feel free to introduce the time frame). Goals and Objectives. Presumably, this section is of the first magnitude since it presents to the reader’s attention the identified aims. You need to cover the hopes you have and the anticipated outcomes you are eager to achieve. The usage of the following verbs is encouraged: increase, decrease, reduce, enhance, protect, offer, produce, etc. It is not bad if your goals are long-term or abstract yet the stated objectives should be realistic, measurable, and explicit. Your objectives should match your statement of need. Methodology or Program Design. Defining the goals is not even a halfway to achieving what you want. In the methodology section, you need to center around the ways to reach the desired outcomes. Devise this part logically, keeping in mind that your reader is most likely not aware of your non-profit organization or project. Besides, aligning your goals and the steps you are going to take to attain them, do not forget to reference the budget and the statement of need. The feasibility study plays a crucial role. The focal point of such projects is your resources. Indicate which sources you will use, your equipment and supplies, and human resources, stating who exactly will be responsible for each specific task. State who will benefit from your project. Evaluation. This section is considered to be the most challenging yet the most important one. Unfortunately, the substantial number of grant proposals fails to meet the requirements for the evaluation section. Why do so many non-profits encounter difficulties here? What grantors are looking for is how you are going to measure your results. The objectiveness of such measurement is pivotal since grant agencies want to have strong evidence that their money will do something good. Indicate what notes you will make, what records you will take, and what data you will consider being critical (qualitative, quantitative, or a combination). State how one can ensure from your evaluation that in the long process of working on the project you will finally meet your goals. Project Sustainability. In spite of the fact that with a grant proposal you are aiming to receive some funds for the development of your project, grant agencies have a strong desire to see what you will do after the grant costs are spent. They are interested in the long-term projects that will continue even without their help. This means you need to identify the goals you will be aimed at after achieving the goal mentioned in your grant proposal. Putting it in other words, introduce your plan for raising money (after the money you have requested is out) without their help. This may include various and sundry strategies and sources. Provide information on employing additional personnel or freelance workers, if needed. Organizational Information. Describe how unique your project is as far as one may question its value. Furthermore, disclose the detailed information about your organization and why it is the only one that is able to conduct such a project. Cover information on your finance, namely, budget and donations. Budget. The best piece of advice concerning talking about money is not to be shy. It is high time you came down to business. You need to present this section in a professional way so that the grant agencies can ensure that you are financially competent. Besides, it is necessary to turn your attention to any supplemental materials that may be requested by the grantors. Mention other sources of income (volunteering and donation included). Do you have any other questions on writing grant proposals? Check out the examples of successful grant proposals available on the Internet.